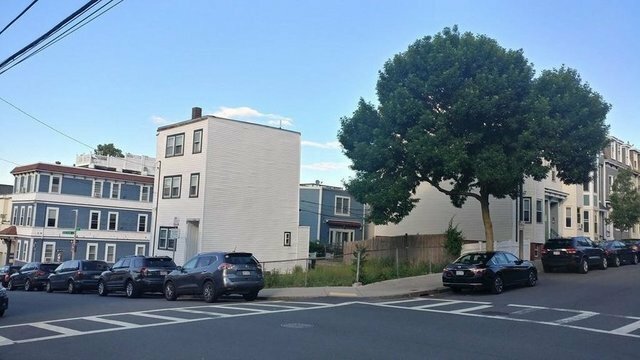 This package of 4 lots includes a small Single Family home and several off-street parking spaces with a curb cut on Bolton Street. The 4 lots measure 3750 SF total and comprise the entire block of F Street between Bolton and W. 3rd Street. Addresses are 175, 177, and 179 F Street and 280 W. 3rd St. 175 F St. contains a 1788 Gross sq. ft. and 1338 Living Area sq. ft. Single Family home with two TAW tenants. This asking price is only a suggested price, and this offering is solely contingent on Seller's written acceptance of Buyer's Offer. All Offers will be reviewed at 3 pm Tuesday, June 26. Seller requests that Offers have no contingencies for financing, zoning, or vacancy. Buyer to perform all due diligence. Tax bills for all 4 lots total $5554 in FY 2018.Open House Friday 6/22 from 12-1 pm. Please provide buyer's financial proof of ability to close with Offer. Call for Offers is 3 PM Tuesday, June 26.